Kishore Kumar Sharma *, Chandigarh : In today’s world the most talked about disease is Diabetes and as a saver the plant Stevia(Stevia rebandiane) .The plant Stevia is native to South American country Paraguay and this plant is also called as Ka’a he’e meaning sweet herb. This plant has gained world wide recognition not only as sweetening but as anti- diabetic agent. The plant Stevia can grow in any conditions if correct light, soil and fertilizers are provided, the preferred season for its plantation is spring. This plant is ready in 60 days and yields crop after every 45 days which goes upto 7 years. 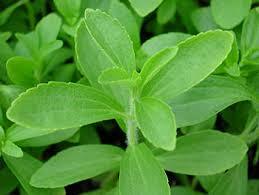 The leaves of the plant Stevia contains several chemicals called glycosides tasting sweet but without calories. The major glycoside is called Stevioside which is one of the major sweetener being used in some countries especially in Japan and Korea. This sweetener is 150 to 300times more sweeter than sugarcane sugar. The plant Stevia is non-toxic and non-caloric having several traditional medicinal uses. The Indian tribes of South America has been using it as a digestive aid and had been successfully applying it topically for wound healing. But the most important aspect is the clinical trails conducted by Julian Whitaker those shows and prove that it can increase glucose tolerance and increase blood sugar levels. The Diabetes all over the world has become a cause of worry as it is emerging as an epidemic and a killer disease. It is predicted that by the end of the year 2025 approx 300 million people will be affected by this disease especially in the developing countries and India has already been categorized as world’s Diabetic Capital . It is a well known fact that insulin dependent diabetes mellitus (IDDM) kills by causing heart disease or kidney failure and if not treated can cause blindness or vascular problems that lead to damage of the limbs and leading to other complications. Those people who had been consuming Stevia leaves have not reported any type of side effects till date , therefore, those individuals who cannot tolerate sugar or other sweetening agents can directly shift on to Stevia. Studies suggest that Stevia has a regulating effect on the pancreas (to release insulin) and can help stabilize blood sugar level in the body and further it also helps in checking hypoglycemia and candidiasis . it is also used as cardio tonic, as anti gas, for obesity, to lower uric acid levels and it also helps in fighting bacteria. Over and above the principal importance of the plant Stevia is due to the possibility of substituting it for saccharine but remember it becomes bitter if over used .